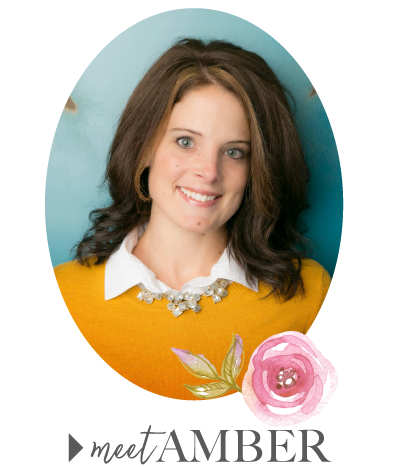 Today we have Stephanie, the Vintage Trailer Lady, here to share her creative space with us! Stephanie and I met the other day at the fabric store I work at. 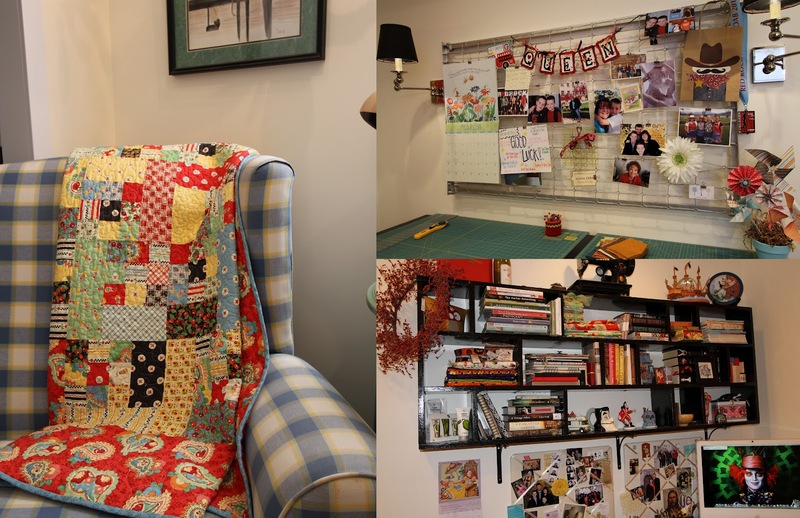 She's a reader of A Little Bit Biased and told me she might have a few pictures to share for my Sew Inspiring Rooms series. A few days later I received her photos. What a pleasant surprise it was to see such a beautiful room. Thank you Stephanie for sharing your space with us! 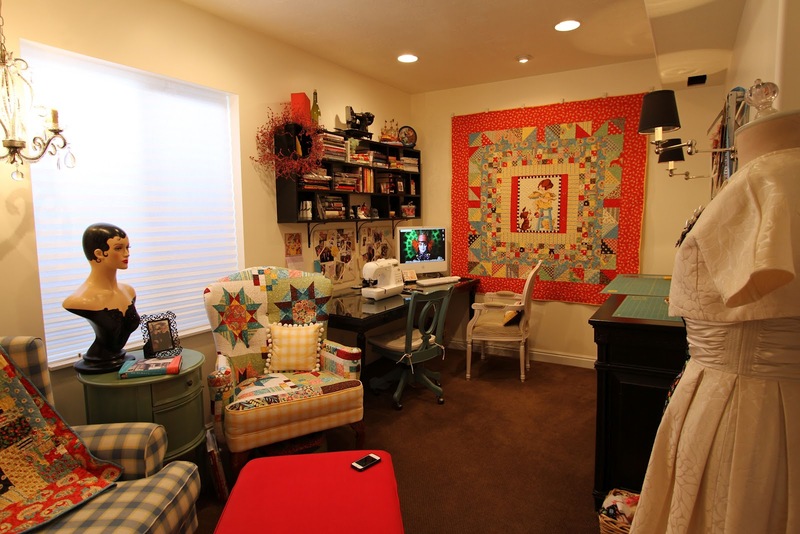 Hi, I'm Stephanie, and I am so thrilled to share my studio with you. Thank you Amber! This is my favorite room in the house - the place where I spend more time than any other. Come on in! Custom mannequin bust from Magda at Nostalgic Corner - some day I will find some beautiful Jewelry to display with her. 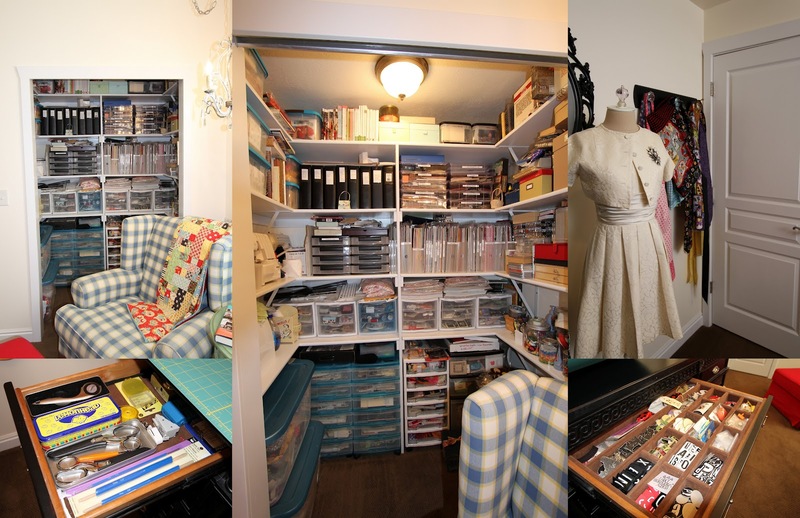 The closet full of supplies! Can you ever have enough supplies? Apparently not... I need an intervention. I do like to be organized and use everything for inspiration, hence the reason there aren't any doors on the closet. 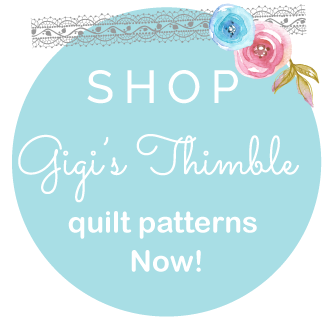 You can see my photo albums, scrapbooking supplies and bins of fabric. The black dresser is also fantastic. It was a damaged piece at an outlet and I think it's my favorite dresser in the house! 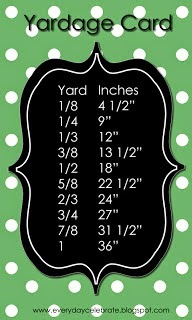 I use it for my cutting table and layout station. I think this top drawer is supposed to be for jewelry, but it fits embellishments so perfectly. 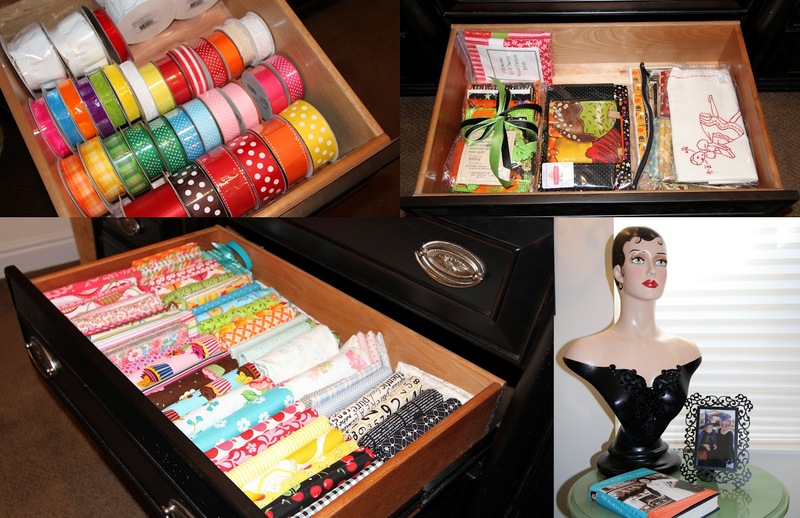 The drawers are great for organizing ribbon, fabric and kits for future projects. It's a very busy room and filled to the brim with things I love. It's very girly and since I'm outnumbered as the only girl in the house, others girls are always welcome! So come on over and visit - either in person or I would love to have you visit my blog at vintagetrailerlady.blogspot.com. Stephanie, I am so thrilled you were willing to share your room with us! It is absolutely lovely, unique and inspiring. Way to make it perfectly you! Please feel free to leave Stephanie some comment love below! please send photos to adctd2qultng@gmail.com. Oh my goodness! I love this studio! Perfectly lovely! 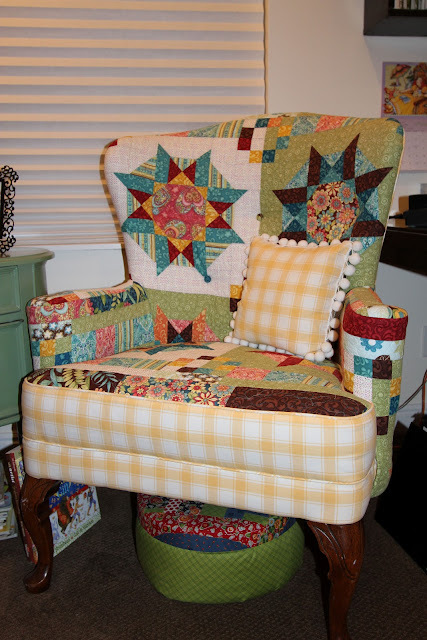 Gotta LOVE that chair!!! What a great studio! Der Sessel ist ja Spitze!!! Thanks everyone! I love reading your comments. Thanks again Amber for posting about my room, its been so fun! 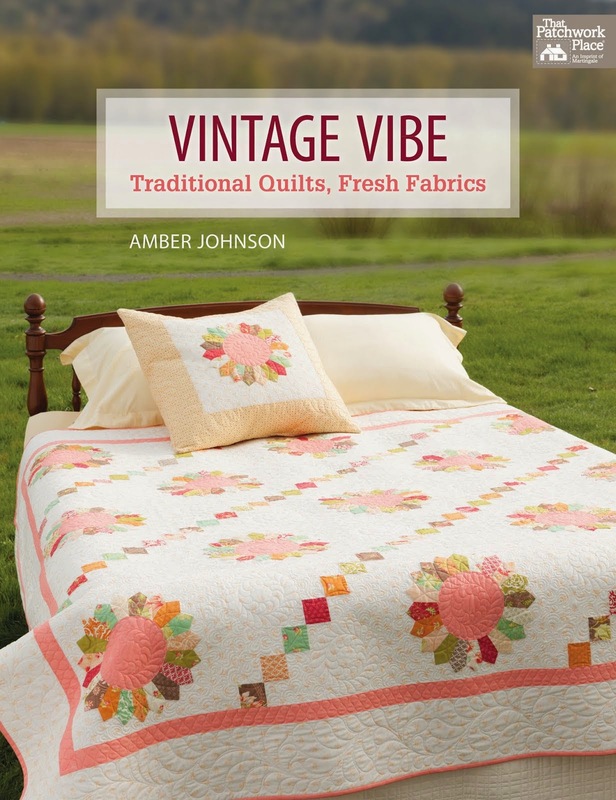 @ Donna - vintage is best! This dress may have been more 50's than 60's! Steph, Great job showing your space it is as awesome as you! I love your studio! Great organization and so much inspiration! Thanks for sharing! What an inspiring space. Love it. Its so lovely to see other peoples workspaces. Its about time I took pictures of my own as its changed quite a bit. Eye candy in these photos!